Jim Harbaugh is taking his coaching talents to Tennessee State. At least temporarily. TSU and coach Rod Reed will host prospect camps with Harbaugh and Tennessee coach Butch Jones this summer, the school announced on Tuesday. 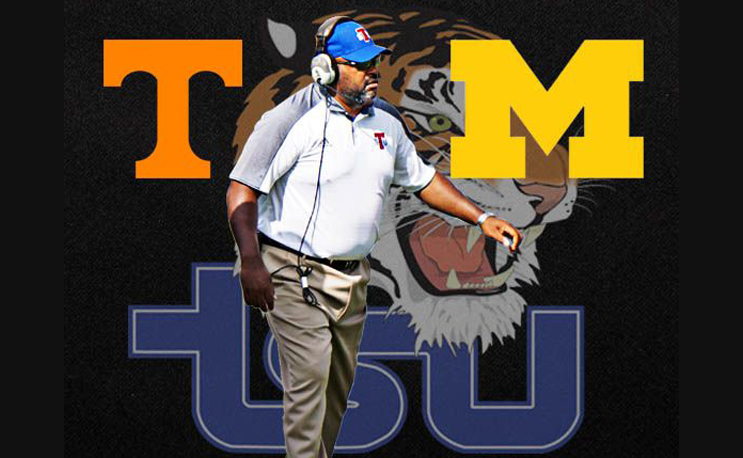 Tennessee will be at TSU on June 4 while Harbaugh and Michigan will stop through on June 9. Reed and his staff already have connections to the two P5 schools. TSU and Tennessee held a camp for 300 players in Hale Stadium in 2016. And Reed attended Michigan’s satellite camp at Oakland High School last year as well. TSU will close things out with Little Tiger Camp on June 12-15 for local youth. This is a great look for TSU. I wish there was a way for the Tigers to play in the Celebration Bowl.